Dylan Rausch, who joined PIRTEK Menomonee Falls, Wis., in 2015, jumped at the opportunity to own his own franchise. 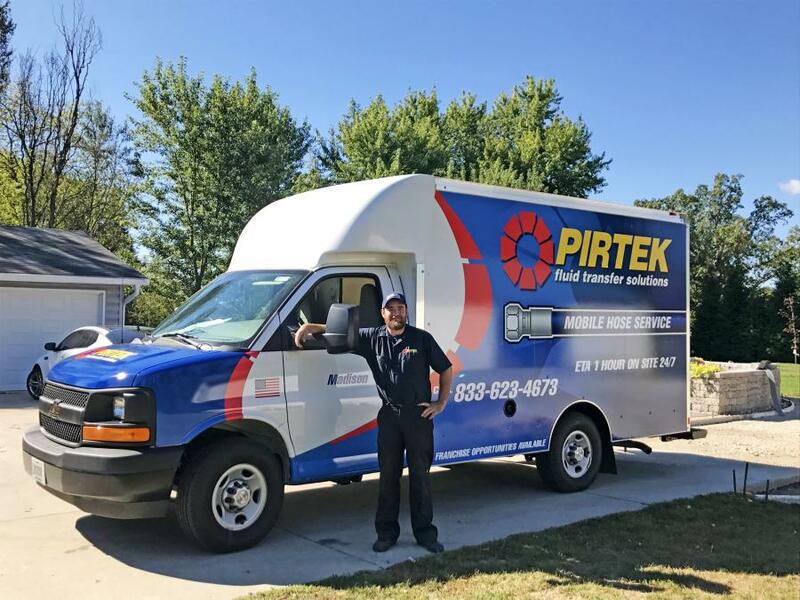 PIRTEK, a fluid transfer solutions company, is continuing its expansion in Wisconsin and across the United States with the opening of PIRTEK Madison. The location opened in October under the company's Tier 2 model, making it the second PIRTEK franchise in the state. Rausch said he will focus on the rental and construction markets in Madison, which is about 75 mi. east of Menomonee Falls. Rausch's location is a mobile-only business, featuring two fully equipped, 24-hour mobile service vehicles. PIRTEK rolled out its Tier 2 mobile-only option in 2016, enabling entrepreneurs to start up a franchise at a lower point of entry. Under Tier 2, a franchisee can keep the inventory in a small warehouse or storage facility and lease two vehicles. The standard Tier 1 model requires a franchisee to have a full service and supply center staffed with six team members and at least two mobile service vehicles. Tier 2 owners are expected to advance to a Tier 1 location in three years. Rausch said he researched Madison's business community extensively and considers Tier 2 an excellent opportunity in the capital city. The only franchise of its kind in the United States, PIRTEK provides hydraulic and industrial hose replacement sales and services. There are 72 PIRTEK franchises and a fleet of mobile service vehicles across the United States. Globally, PIRTEK has more than 400 locations and 2,000 mobile service vehicles in 23 countries.